This release contains bug fixes for pt-query-digest, pt-mysql-summary, pt-stalk, as well as other tools and is the current GA (Generally Available) stable release in the 2.2 series. Downloads are available here and from the Percona Software Repositories. Fixed bug #1262456: pt-query-digest didn’t report host details when host was using skip-name-resolve option. Fixed by using the IP of the host instead of its name, when the hostname is missing. Fixed bug #1264580: pt-mysql-summary was incorrectly parsing key/value pairs in the wsrep_provider_options option, which resulted in incomplete my.cnf information. Fixed bug #1318985: pt-stalk is now using SQL_NO_CACHE when executing queries for locks and transactions. Previously this could lead to situations where most of the queries that were waiting on query cache mutex were the pt-stalk queries (INNODB_TRX). Fixed bug #1348679: When using -- -p option to enter the password for pt-stalk it would ask user to re-enter the password every time tool connects to the server to retrieve the information. New option --ask-pass has been introduced that can be used to specify the password only once. Fixed bug #1368379: A parsing error caused pt-summary ( specifically the report_system_info module) to choke on the “Memory Device” parameter named “Configured Clock Speed” when using dmidecode to report memory slot information. Details of the release can be found in the release notes and the 2.2.11 milestone at Launchpad. 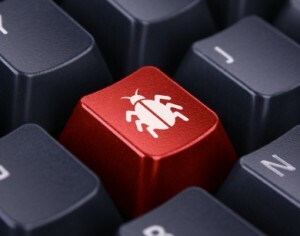 Bugs can be reported on the Percona Toolkit launchpad bug tracker. The post Percona Toolkit 2.2.11 for MySQL is now available appeared first on Percona Performance Blog. BlackBerry could be about to become the most interesting company in the smartphone business: The Canadian telecommunications firm will deliver a minimum of one “unconventional device” per year, according to a new report from Reuters, following the launch of the square-screened Passport last week. 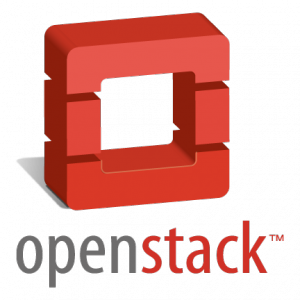 The post MySQL & OpenStack: How to overcome issues as your dataset grows appeared first on Percona Performance Blog. Your version of bash is not vulnerable, if you see the text “vulnerable” – however you are. The question becomes “how much of a problem is this really?” It’s a valid question given that even with the potential to exploit this issue via AcceptEnv for ssh connections; the attack appears to be a “local user” exploit. I’d like to point out that it has been noted that there’s the potential for this to be exploitable in CGI web applications; and it’s also worth being aware of this new metasploit module which exploits an issue in dhclient where code injection can occur via crafted hostname response to DHCP requests, in my personal opinion this is a far wider issue in dhclient itself. It does not appear to be directly affected at this time; unless you have a UDF allowing shell command execution. MySQL documentation on environment variables as per here modified local behavior of the client only not the server. (without local modification server side). There’s no singular answer here given the diversity of applications. For instance if you’re using PHP and putenv then you potentially have quiet a large attack surface in you application for this specific vulnerability; the best recourse here is to ensure your follow best practices – e.g. update to the latest packages, test the vulnerability, ensure you application is running as a non privileged user, ensure you application only has access to the MySQL permissions it needs; and ensure you’re running a mandatory access control e.g. SELinux / Apparmor as an additional layer of defense. The post ‘Bash Bug’ giving you Shellshock? CVE-2014-6271 update appeared first on Percona Performance Blog. Download mydumper-0.6.2 source code here. Use LOCK TABLE for all instead of FLUSH TABLES WITH READ LOCK. With this option you will be able to backup RDS instances and also get the binlog coordinates (5.6). Now TokuDB tables are dumped within the consistent snapshot instead of being locked like MyISAM. NOTE: You should not use -B here because mydumper will take the -T list as table names. The post Logical MySQL backup tool mydumper 0.6.2 now available appeared first on Percona Performance Blog. All of us will, at one time or another, be at the Percona booth (Booth 2413), so please stop by and say “hello.” And while you’re there, register to win a new Kindle – the Fire HDX 8.9 Tablet. We’ll also be raffling off passes to Percona Live London (Nov. 3-4), the annual Percona Live MySQL Conference and Expo 2015 (PLMCE, April 13-16) and the new OpenStack Live 2015 conference, which runs alongside PLMCE April 13-14 – also at the Hyatt Regency Santa Clara & the Santa Clara Convention Center. Let me know if you’ll be attending and do be sure to stop by our booth and say “hello!” I hope to see you there! The post Looking forward to Oracle OpenWorld 2014; visit us at Booth 2413! appeared first on Percona Performance Blog. MyISAM let me to create maximum 2410 columns and I could achieve the same result for the TokuDB table! Tried with tinyint or char(10) datatype, same maximum cap applied, not quite sure why it’s exactly 2410 though. So if you have that rare kind of table schema with that many columns and you wish to be able to use a transaction storage engine, you may go with TokuDB, available also with recent Percona Server 5.6 versions. The post More then 1000 columns – get transactional with TokuDB appeared first on Percona Performance Blog.